Synopsis: A monster slayer is in for the adventure of her life. Does she decide to follow her heart of does she kill the monster she loves to stay in favor with the counsel she serves? Not to mention all these broken memories are confusing–are they things that really happened or is it all in her head? Lucille Roddingale is in pursuit of the truth and she's not going to like everything that she finds in her journey. How did I come up with the characters? Well, that's an interesting question. I developed the characters from a roleplay I was having with my friend Rory. 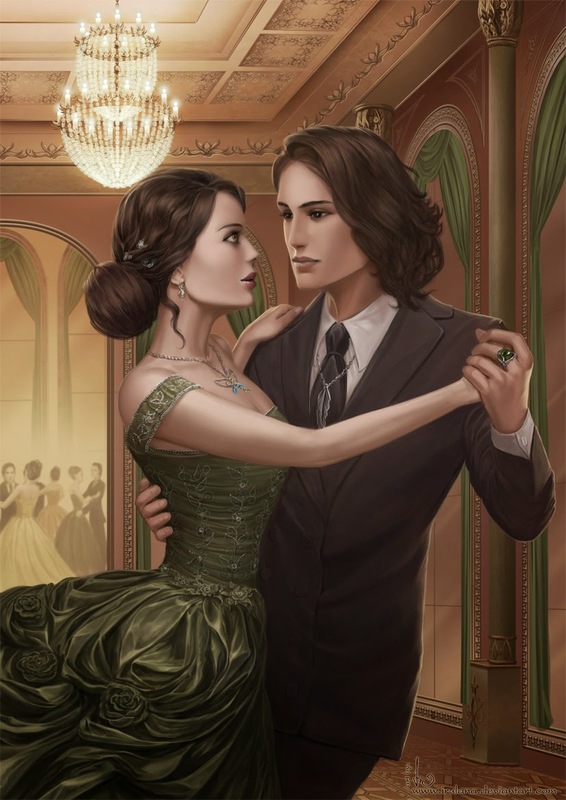 We were on a Marauder's Era HP based rp and had two characters a part vampire named Lorcan d'Eath and his human lover Petula Rosier. These characters were crazy and had a really twisted, complicated history which I pretty much came up with but Rory helped me develop into something more substantial and helped iron out the details. I wanted to find a way to immortalize the characters. So I decided that I'd take them from their HP universe and throw them into a completely new world—one that had magic but was completely different from Rowling's world. I wanted not only to develop them and flesh them out more than our roleplays did but to turn them int slightly different alter egos altogether so they could thrive and survive in their own world which I later named Atriel. I have always loved vampire and monster slayer novels and so it was only natural for me to turn my "Petty" into Lucille the monster slayer whose heart would soon belong to the part-vampire Florian. I've also had a fascination with part-vampires and vampires ever since I was a little girl. I once wrote a short story about a part-vampire named Charlotte who Florian closely resembles in some mannerisms but he's completely different in others. 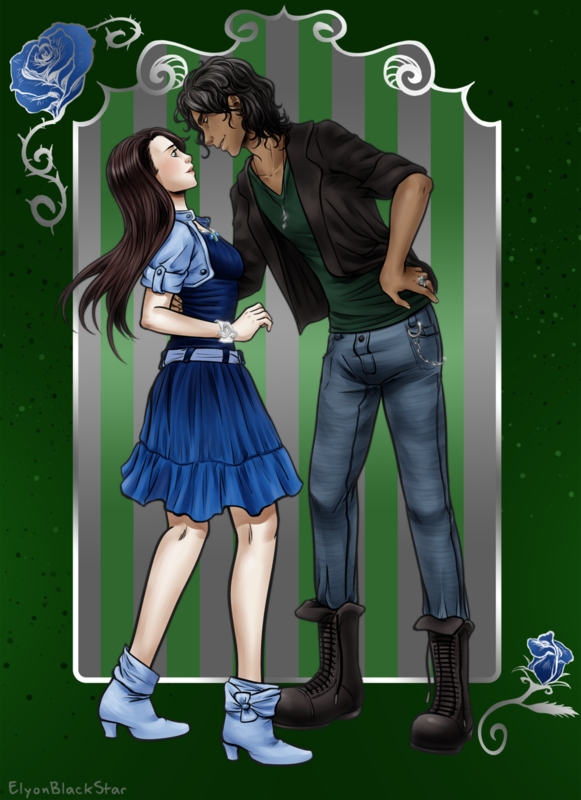 Florian and Lucille will forever be my favorites because they were based off my two favorite characters. Although there are several differences—for instance Florian is a lot braver than Lorcan and Lucille is a lot more outspoken and fiery than Petula. Not to mention there was no Solomon in our story, but I threw him into the tale because I figured Lucille could use a father figure. After all, Florian had Clorian, which I so named to amuse myself. Florry and Clorry I call them much to their annoyance. I had actually intended Solomon to be a minor character, but he soon took on a mind of his own (as my characters often do), and decided he needed a larger role in the story along with his wife Deborah. Evan just came to me. He's a combination of several people in my life that rubbed me the wrong way and people who were rude to my character Petula in the roleplay. He took shape on his own and quickly became quite a troubling, vexing character in his own right. Veronique is one of my favorites, too. I figured that Evan needed a reason to be against half-breeds and having a half-sister who was a part-elf seemed the perfect idea. I have always loved the idea of half-breeds because I believe you cannot choose whom you fall in love with and why couldn't humans and other species breed? I also liked the conflict within her between darkness and light, wanting to do the right thing and not knowing how. She's not quite an anti-hero but she's not a villain, either. Just somewhere juxtaposed between the two. Petula and Petro were two characters that really intrigued me when they popped into my mind because I always knew they were vampires. I wanted to know why Evan was a hypocrite and would employ people like that in his counsel and soon became apparent to me that he would use any means possible to carry out his aims. What his aims are, however, I will not say. I can't give away the entire story, after all. All the other characters just sprang up as I needed them or as they needed me to introduce them as they always remind me (my characters are quite forceful, I've noticed, some more so than others). 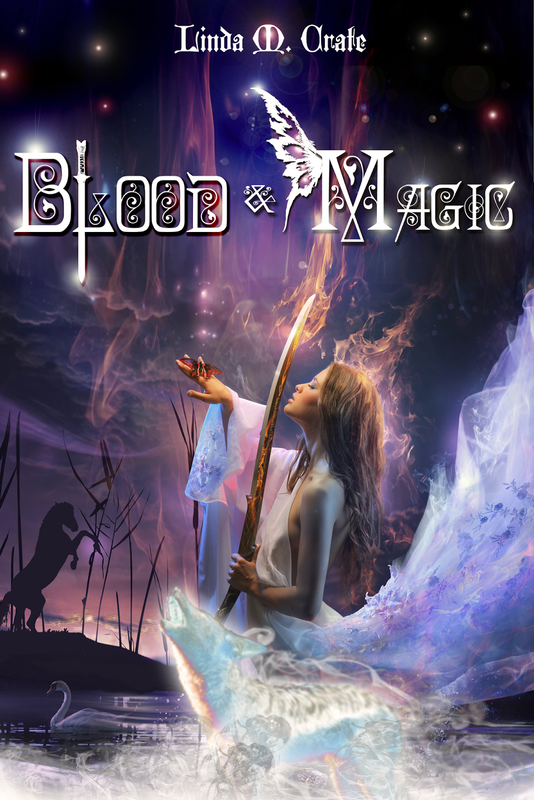 I always wanted to experiment with the idea of an ensemble piece which is quite frankly what Blood & Magic is. A myriad of personalities and situations meshed together to describe what happened in Atriel. I really enjoyed the way it turned out and I'm quite glad that it got a chance to breathe life on its own. 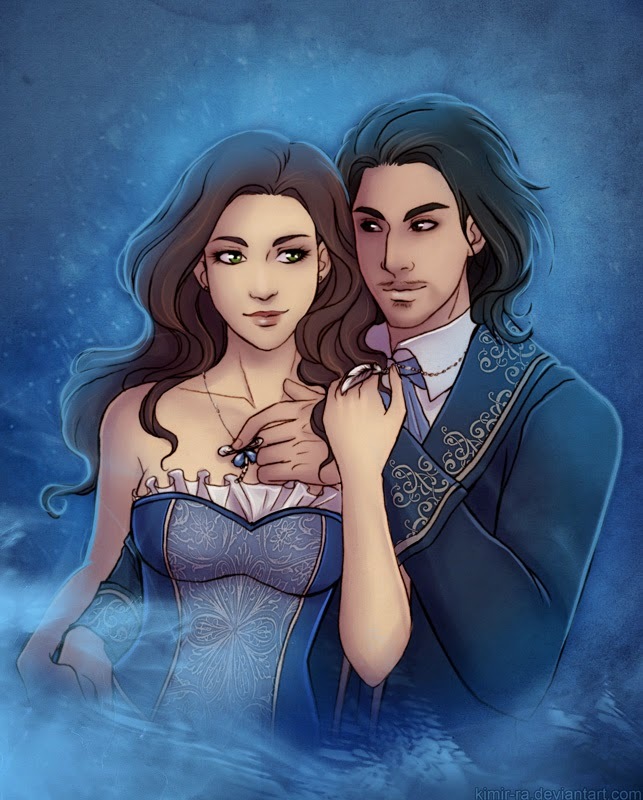 I think it will always be one of my favorite stories and I really do hope that everyone enjoys not only the first novel but all the subsequent novels because these characters get into a lot of misadventures—but what could one expect from a part-vampire and part-fae? Especially ones as mischievous as Florian and his love? Well, I was going to leave her human, at first. Because I thought it would be cool to have a non-magical person that was actually powerful in a magical realm. However, I also realized that it put Lucille at a great disadvantage. She was fighting all these magical creatures that could easily overpower her with their magic and she needed an ability of some sort. That's how the idea of making her a part-fae came into being. I thought that a love affair between her mother and a faerie noble would satisfy the why of how she was a faerie. I didn't want her to be a part vampire like Florian because I figured one blood sucker in the relationship was more than enough and she definitely wasn't a dwarf and she vetoed being an elf. I did ask her. She wrinkled her nose. Clearly Lucille has a thing against elves. She hasn't told me why. I'm sure we'll find out as the Magic series progresses. However, I didn't want it to be contrived. Like, oh look, she has a magical ability and now she can take on everyone all at once! So I put limitations on the magic. You can't use more magic than you have the energy for or it will kill you, and disguising your looks to become "human" seriously stunts the amount of years you have in your life. Veronique is also a victim of losing years of her life because Evan made her appear as a human so his hypocrisy would not be revealed. The only reason Lucille can live as long as her part-vampire lover is because her father sacrificed his own life so that she might live. It's not a gift she asks for, but one he freely gives her because he feels guilty for abandoning her as a child. Her parents and younger half-brother were killed and still he let the counsel raise her. The very same counsel that made her feel trapped and the very counsel that betrayed her and killed her friend Mary. People have asked me all my life how I write. I always find that an interesting question because I don't really have a process. I just turn on my music and have at it. Sometimes sad songs conjure up the most beautiful love scenes and angry music gives life to tragedy and the happy songs lead to battles. I'm not quite sure how it works, but I know music has always moved me and I love having an intimate relationship with words. To me it's natural as breathing. It's just something I have to do, need to do. I didn't choose writing, it chose me. I'm glad it did. I always find it fascinating where my imagination takes me and all these characters that jump into my mind are always worth the journey I embark on when I start writing their stories. Sometimes I discover more about them but I always discover more about myself and I always strive to make sure there's truth because to me there has always been more honesty in fiction than nonfiction. Characterization has always been important for me. Plot is important, but you can't have weak characters. To me that just collapses everything and it will be the one reason I walk away from a book. I usually struggle through even if I don't particularly like a book just to see what happens to the characters, but if I can't relate or don't like any of your characters there's just no reason for me to read it. So I try to to flesh out my characters and make them like people. Because if they're like your best friend or your mother or your uncle then maybe your interest will remain piqued through the entire novel. Linda M. Crate is a Pennsylvanian native born in Pittsburgh yet raised in the rural town of Conneautville. She currently resides in Meadville. 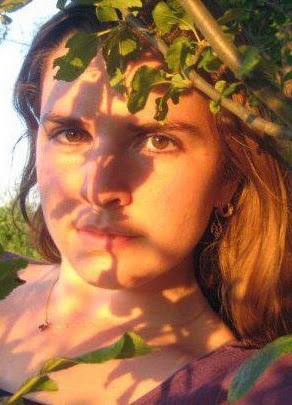 Her poetry, short stories, articles, and reviews have been published in a myriad of magazines both online and in print. Recently, her two chapbooks, A Mermaid Crashing into Dawn (Fowlpox Press - June 2013) and Less Than a Man (The Camel Saloon - January 2014) were published.